Are you like me and prefer giving homemade or handmade gifts for the holidays? It can be something as simple as a personalized handmade ornament used as a gift tag or a stack of delicious homemade cookies as part of a hostess gift. Gifts made with love are always the ones I treasure most during the holidays, how about you? I find the hardest part each year is coming up with ideas. 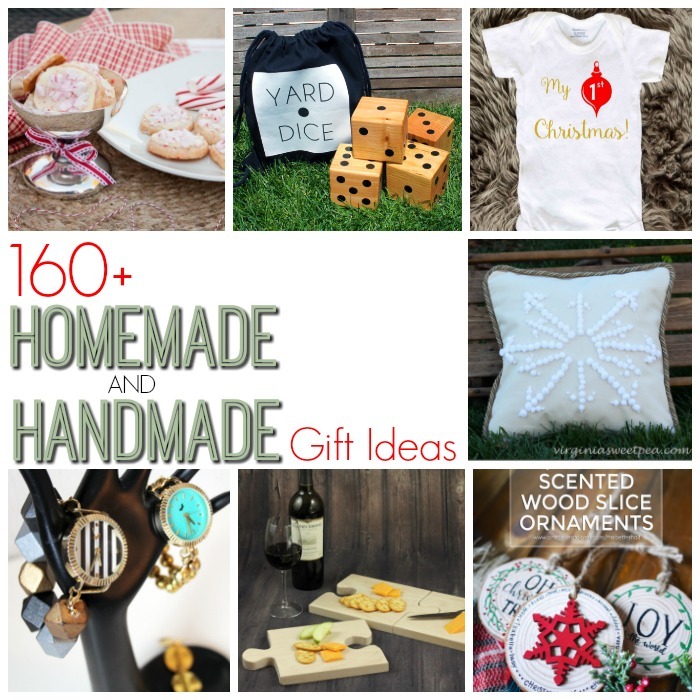 To help make that easier for you and hopefully provide loads of inspiration, we're sharing a collection of 162 Homemade and Handmade Gift Ideas. 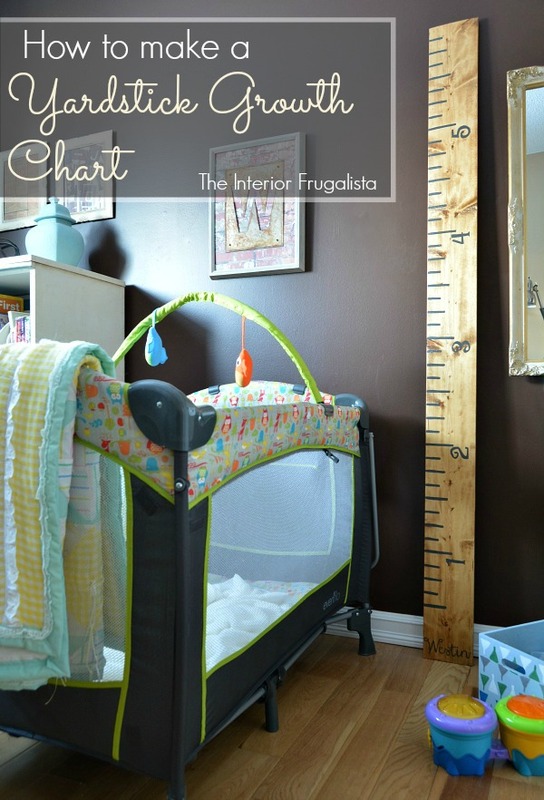 Last year I used a fence board to make a Yardstick Growth Chart for my grandson. This is my first month joining the All Things Creative group. If you haven't heard of it, one day per month a group of blogging friends comes together to share creative DIY ideas. 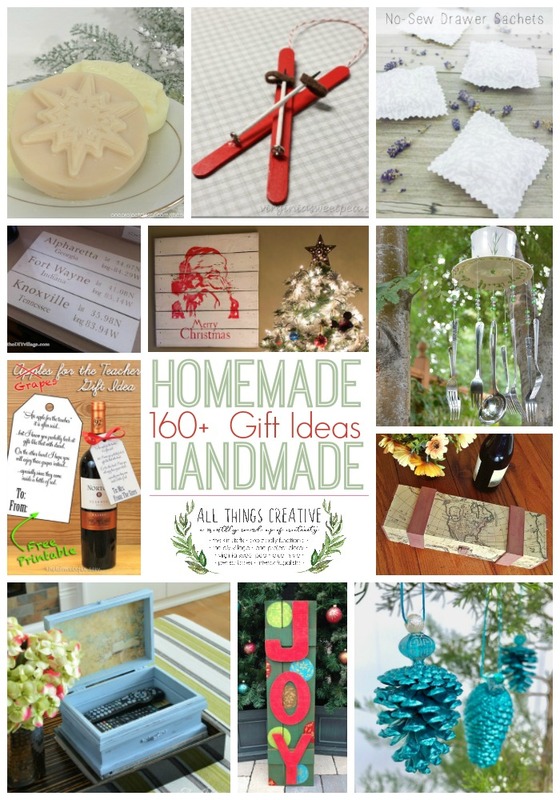 This month the focus is on Homemade|Handmade Gift Ideas, just in time for the holidays. There are great ideas for hostess gifts and holiday cookie or ornament exchanges. Ideas for the Teachers, Gardeners, Sewers, and Fashionistas on your list. From baby's first Christmas to young children and we've got the teenagers on your list covered too. There is something for every DIY skill level ranging from quick & easy crafts to get dirty in the workshop with tools like Santa's elves. Press the links below for step-by-step instructions on how you can make these Homemade and Handmade Gifts too.